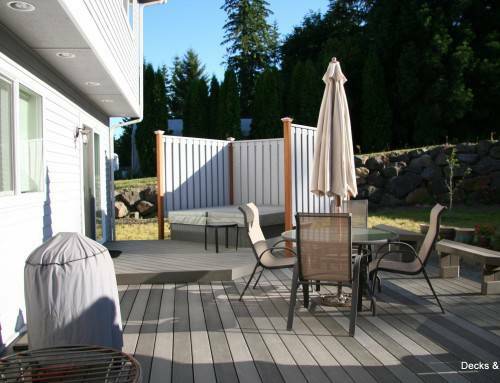 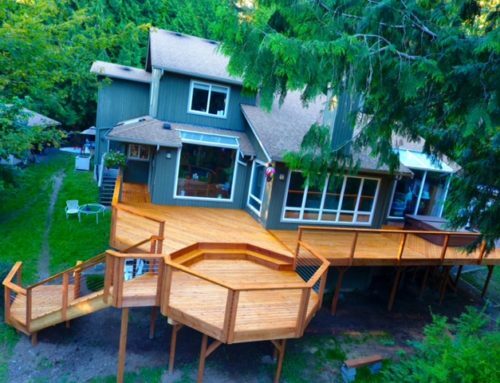 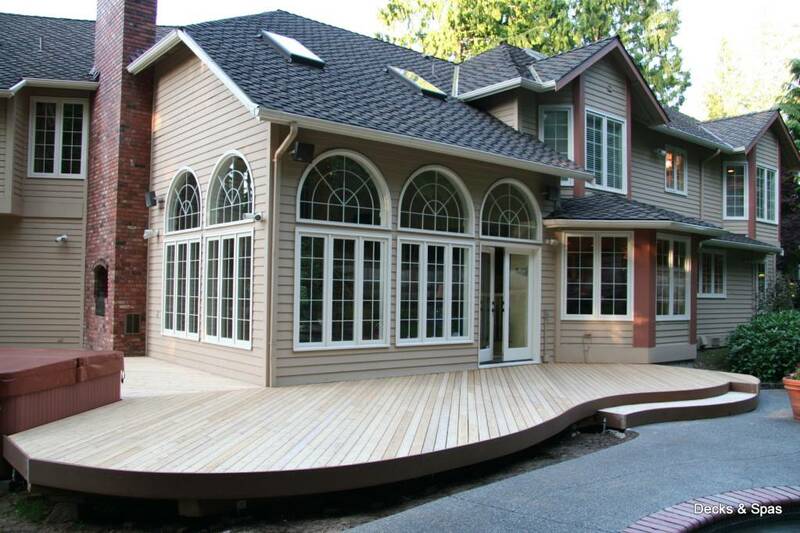 The ultimate curved deck design. 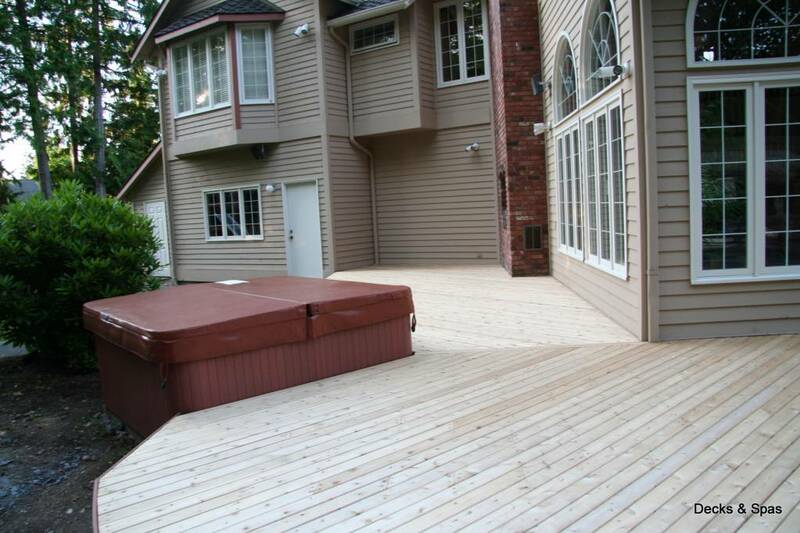 When we designed this deck we made sure to incorporate the hot tub and outdoor living area in to the flow of the design. 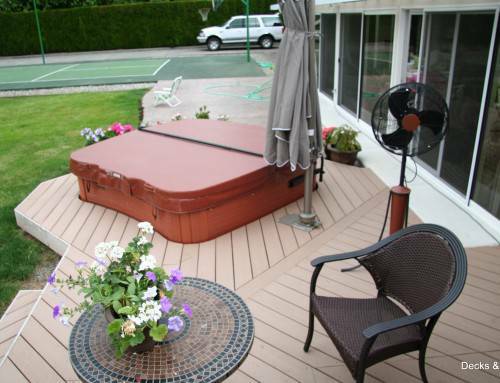 The deck sits just above ground level, high enough to give a natural step down into the hot tub. 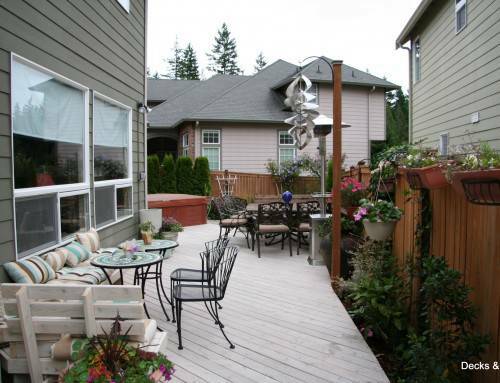 Down the right side of the house there is a small area with an outdoor fire place that can be used as an outdoor living room, just far enough off from the pool to allow seperation. 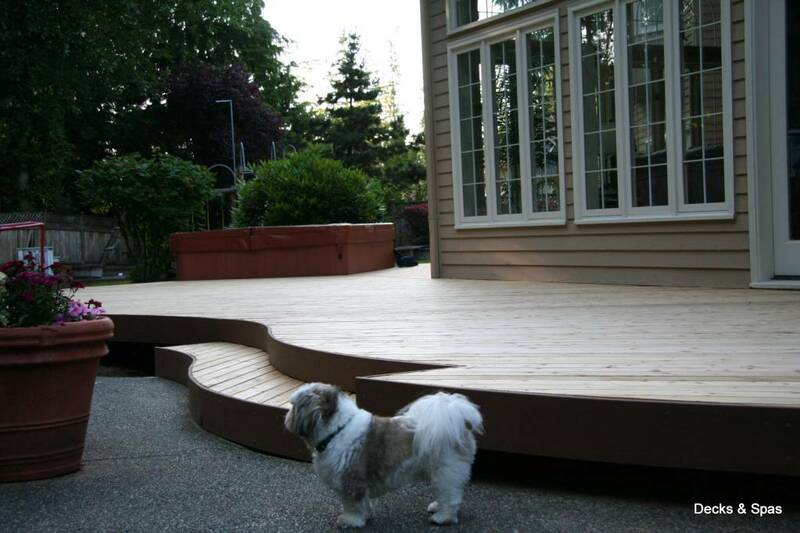 The curved deck and its curved steps are used to accent the curves on the pool which shows a nice transition as the user walks back up to the house. 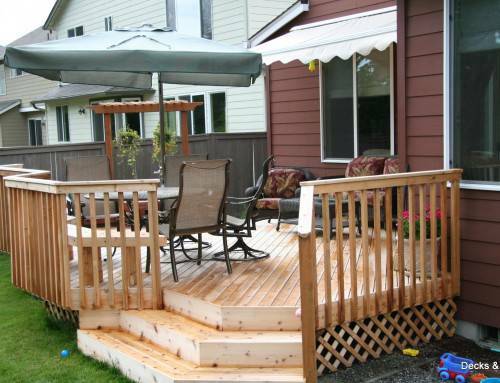 This deck is a cedar deck that had not yet been stained, raw cedar wood.